Our service dogs in training spend the week at the prisons, but on the weekends its FUR-lough time! These pups need to be integrated into the community to acclimate them to sights and sounds they can’t experience inside the prison. Our weekend handlers take them to restaurants, grocery stores, malls, movie theatres and into their homes for at least one weekend per month. You pick the weekend, we’ll provide the food, toys, and of course, the dog. You’ll receive the unconditional love of a dog without the full-time responsibilities that go along with it. If you're interested in volunteering with this program, email us at info@domesti-pups.org. 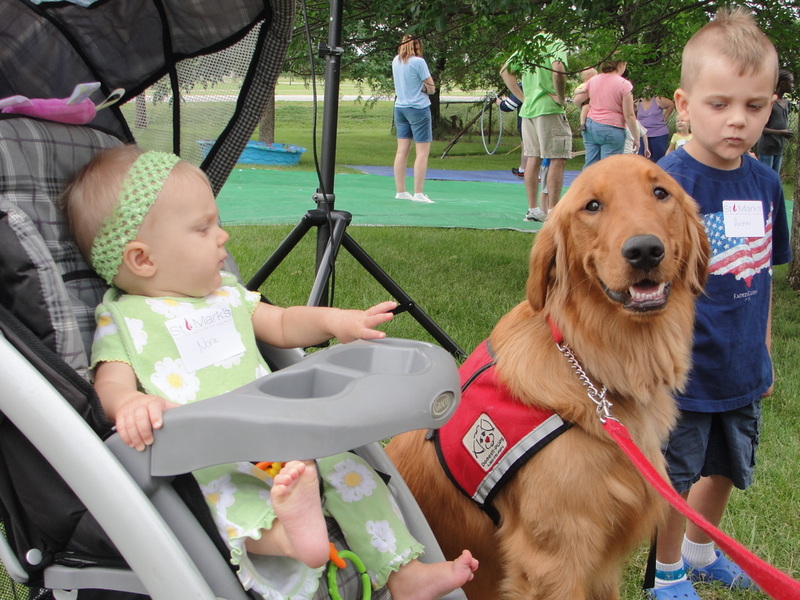 Our weekend warrior program is where volunteers take a dog who is currently in the formal service dog training at one of the institutions (Nebraska State Penitentiary-NSP or Lincoln Correctional Center-LCC) home on the weekends. We ask volunteers to take a dog at least one weekend a month. The volunteer takes the dog out with them to restaurants, grocery stores, movies, etc. We want the dog to get acclimated to public situations and maintain manners in the home while in training. We supply the food, toys, crate and of course the dog. You choose the weekend that works for your schedule. Pick up is usually 6:00 or 6:30 p.m. on Friday, depending the location and drop off is Sunday at 3:30 p.m. We do not bring the dogs out on holiday weekends, or where a holiday falls right before or after the weekend. Our goal is to have eight dogs in training between the Nebraska State Penitentiary (NSP) and the Lincoln Correctional Center (LCC) so you could get a different dog each time. We also hold monthly meetings to go over the training and show you what the dogs have learned and/or are working on. We also try to take the dogs out for an extended stay at least twice a year for five to ten days so that the guys in the institution get a break and the institution gets a chance to clean and maintain the kennel area. During that time we also ask the volunteers to help by taking the dogs during the break either for the full break or partial, once again it is all voluntary. Our dogs are in formal training for approximately one year. 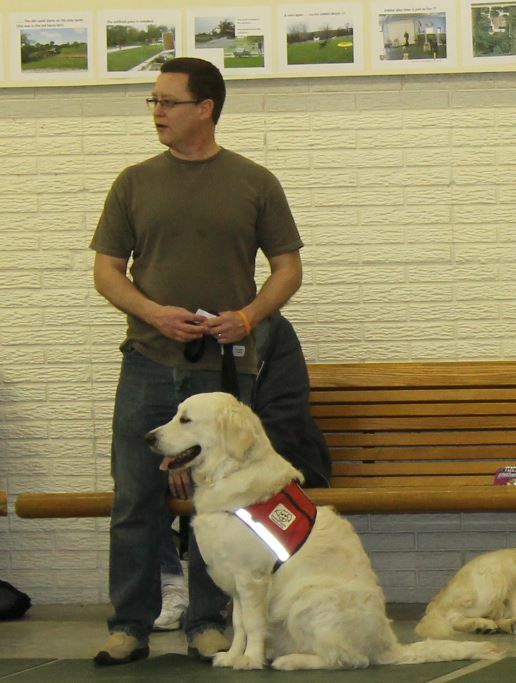 At the end of their training we have a 12 day camp for our recipients who will be taking home a service dog. If available we can always use help as we take the recipients on outings with their dogs and they learn how to be a team. At the end of camp we will have a formal graduation and encourage all of our volunteers (19 and older) to attend if possible. Next year graduation will be in June. 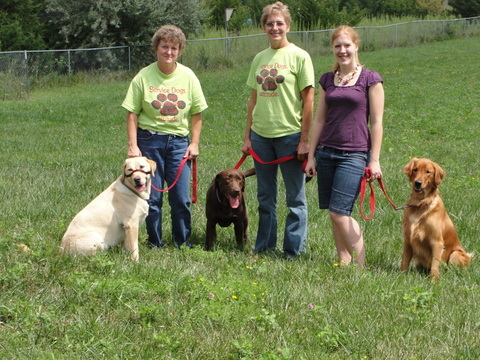 Our dogs are all larger breed dogs and vary in age from 7 months to 3 years. While all of them must pass the CGC (canine good citizen) award, and be house/crate trained before coming out on weekends, they are dogs and sometimes they make messes. Each of these dogs have spent at least some time in one of the trainers home before coming to your home. All volunteers must attend an orientation before being added to the weekend rotation.